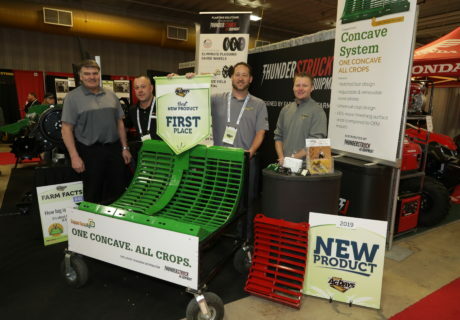 First Prize Best New Product – Winner of the Best New Product 2019 was: Copperhead AG with their Copperhead Concave System which utilizes notched bars for restricted flow. This allows more material in the concave area, increasing grain on grain threshing. As grain moves along the system, the concaves are progressively open, leading to increased unloading of grain as it’s threshed. With the Copperhead Concave System, you can thresh in any crop in any condition, have cleaner samples, decrease field time (resulting in less fuel cost), and stop rotor loss. They received a banner and bragging rights for the next year. Congrats! The First Ever Manitoba Social was a HUGE SUCCESS!